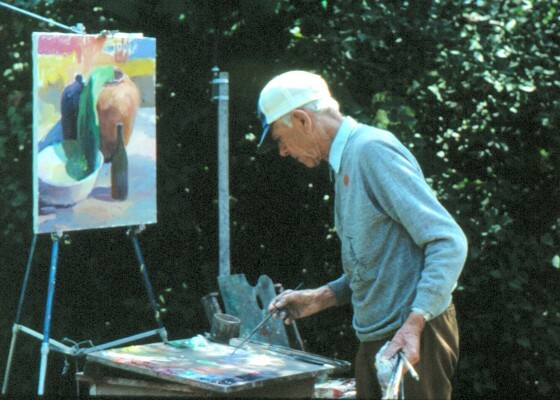 From 1932 to 1984, Henry Hensche ran one of the premiere schools for outdoor painting in the country. 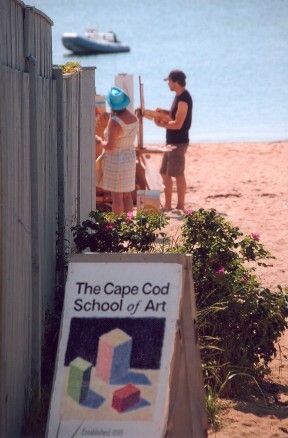 It was the Cape School of Art, located in Provincetown, Massachusetts. Hensche had been one Charles Hawthorne’s best students and he continued his legacy of a summer art school for the study of color. The old barn at 46 Pearl Street became a mecca for artists around the country and eventually establishing what is now as known as the Provincetown style, a style associated with impressionist colors and the use of the palette knife. It all ended in 1987, when the disheartened master, then 87 years old, sold the school for one dollar. It began with the death of Wags. I remember my parents, Cedric and Joanette Egeli, getting a tearful phone call from Henry Hensche in the spring of 1984. Henry’s old English Sheepdog, whom had accompanied Henry during many long hours of landscape painting, had died. Everyone who had studied at Cape School of Art knew Wags. 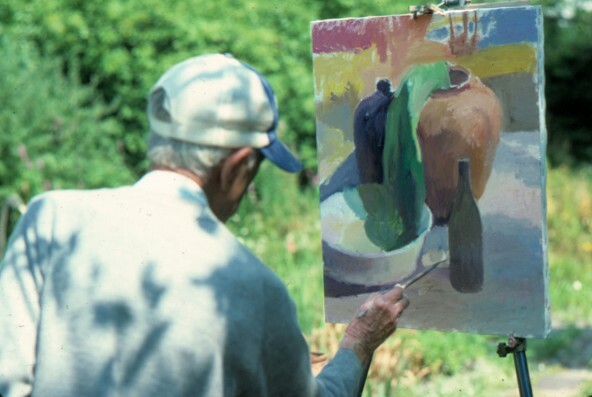 During the weekly painting demonstrations, Wags would lie in the cool shadow of Henry’s easel. When Henry would take breaks, Wags would, too, taking a drink of water or greeting late comers to the demonstration. My parents have a painting signed "Henry Wags Hensche". Those who didn’t know Henry call it a fake. 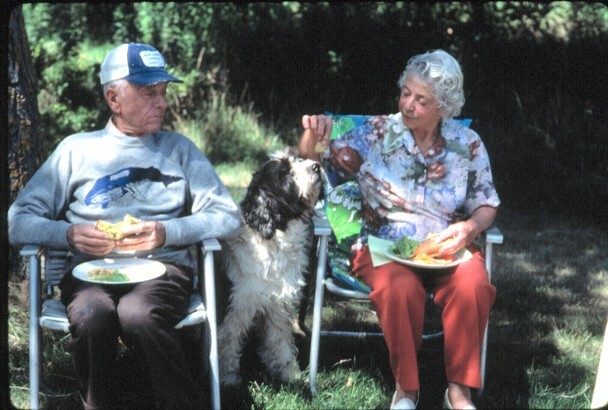 But Wags was Ada’s dog, too. When Henry would travel the country during the winter, preaching the cult of American Impressionism, Henry’s dutiful wife Ada would wait for him. He had stayed at my parents’ house in Maryland, where my father painted his portrait. But usually Henry was in Louisiana with Dottie. She was Henry’s young mistress at 72 years old. Henry was 83 and so was his wife. She’d been his girlfriend for years and Ada never spoke of her. I was 20 that spring. 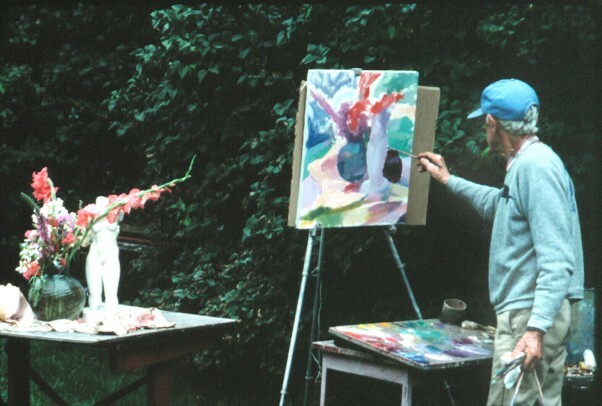 At 18, my parents had sent me to study with the great Impressionist master. It changed my life. Painting for me before that first summer was a tiresome exercise, an exercise that took place in dark studios, in hushed tones, accompanied by long hours of painting an ugly model. Henry showed me it was something different, something exciting and new, a never ending sprint to capture the fleeting color of a Provincetown afternoon. It was about color and shape, it was not about what you painted, but how you painted it. 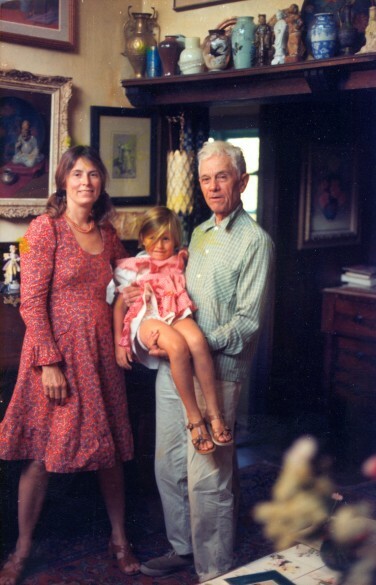 My father and mother, Cedric and Joanette Egeli, were already a successfully portrait painters when they met Henry in the 70’s, but they knew Henry had something they didn’t. 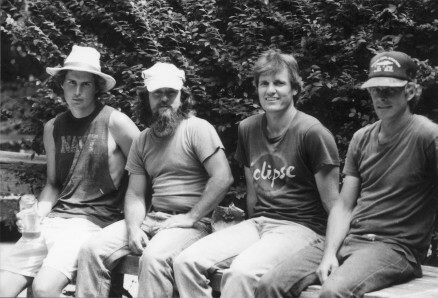 My father was so captured by Henry’s teachings that he spent every free moment he had at the Cape School and eventually moved our summer residence from Hyannis to Provincetown. My mother Joanette willingly move our family of six to Pearl Street. She had always wanted to be in a bustling art colony like P-town, and soon we were in the thick of the P-town art scene. Soon Henry offered my father the Dickinson studio, the big studio at the left side of the big barn on Pearl Street. The right side was the school. 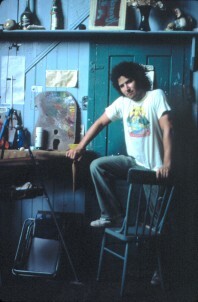 It was honor to my father to be working in the studio that countless Provincetown masters had painted in. He promised my father life rights to the studio and started making overtures that one day my father might take over the school. My father was humbly flattered. He didn’t realize at the time that Henry had promised that to countless students over the years. The students would become masters, slowly realize Henry would never part with the school. Why? To keep them around. For their money? For the prestige it shed on the old master? In any event, my family and I moved into the the left side of the old barn in 1982. With a lot of pessimism, I started painting colored blocks in the sun with perhaps a group of twenty new students. 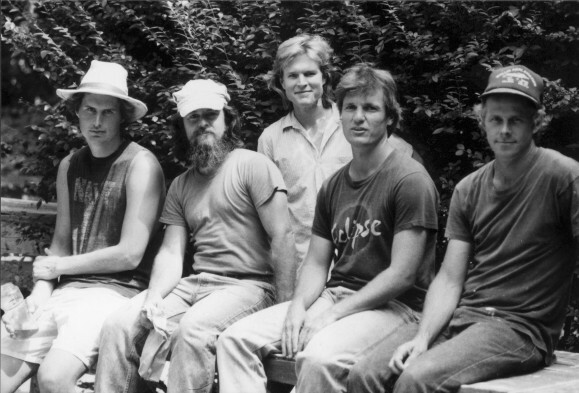 Steve Craighead and others – all who would become wildly successful painters in the Hensche style. Soon I had the honor of sharing the loft above the school with another student, Fred Goldstein, and we had the honor of keeping the school in order. Towards the end of that summer, Henry told Fred he had to go. Fred was distraught – after all these years of helping Henry he was being kicked out. I was ambivalent to his plight, I’d have the loft to myself now! Maybe Fred was getting too good for Henry, taking the spotlight off the teacher, but the real reason was that Ada, Henry’s wife, had turned against him. She had spotted him painting Henry’s trees, the two locust trees behind the teacher’s house that appeared in hundreds of paintings of Henry’s. Fred had crossed the line, and Fred’s art career never recovered. My father had introduced Fred to Henry and he was a loss to the school. Wags was a very old dog when he died. Henry cried on the phone to my father when he talked about him. But there was more going on there than the death of Wags. Something had changed in Ada that spring. She had been his devoted wife for years, a young English girl who had been encaptured by Henry’s love of painting. When my parents would visit Henry’s house (the old house on what is now Hensche way off Conwell St., Ada would always bring out her paintings to show. But she knew she had been and would always be second fiddle to Henry. Whatever her problems were that spring, she felt my parents were part of them. My mother decided what Henry and Ada needed was a new dog. They picked out a beautiful English Sheep dog pup, and they sent me Provincetown to deliver it. Could it have made things any worse? Ada refused to see the dog and I sat in my honored loft on Pearl Street with Henry by my side, both of us staring at the dog. What a stupid idea this was, Henry said. Later that day, I would discover what the real problem was. With my new dog by my side, I set up an outdoor still-life to paint in yard. Across the street, Henry owned three small studios. While the barn area was for beginning students, the yard in front of the three studios was for advanced students. Two of the studios by the yard were always rented to advanced students, but Henry usually kept one for himself. While I painted Henry came by, as usual, just nodded and told me to continue. He then gave the dog a disgusted look and walked around to the front of the third studio. Doddie was here, with big, thick, dyed black hair, Henry’s lover from Louisiana. Ada knew it, and no puppy was going to change that. 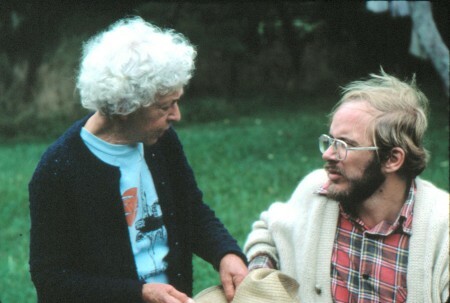 She was no spring chicken, already in her early seventies at the time, but that’s not how Henry saw her. She as all desire and passion, and on that day, things weren’t going her way. She was packing her car. From my easel, I couldn’t see Henry. But I heard his voice. It wasn’t the calm and assured voice of the master, but a teenage boy’s voice, pleading with his young love. "Please don’t go Doddie. Please." She occasionally would tell him to shut-up. Finally her car door slammed loudly, and she pulled away. Henry ran after her car. "Stop! Stop! Doddie!". I pretended not to notice, but I couldn’t pretend. Henry was distraught now. He came to me in the yard. "How could she do this to me? How could she leave me at time like this? Arthur, you’re too young to understand what a woman can do to a man!" You’re right Henry, I thought! When Doddie left, things continued to get worse. Henry came to me early one morning and I asked me to help him. Together, under the high clouds of cool, clear spring day, we walked. Down Harry Kemp Way, towards the secret path to the back of Henry’s house. "How could she do this me, Arthur? How could she do it?" I thought he was still talking about Doddie, but he wasn’t. After fifty years of marriage, Ada was kicking Henry out of this house. Oh, it was really his house, she bought it before she met him. "You don’t understand how terrible this is, do you?" I just looked at him bewildered, hoping my life wouldn’t turn out this way. When I saw Ada, I knew things were bad. She barely said a word to me as I helped Henry pack his clothes. He looked at my as if I were the devil’s advocate. We walked in silence back to the school. "Arthur, I want your parents to move out of the main studio." I helped Henry carry his stuff into the third studio adjacent to his yard. My parents would arrive in two weeks. They had no where else to go and all their furniture, beds, easels, canvases were in that studio. Not to mention my father had paid to have the interior practically re-built to accommodate my mother. I called my father and told him. My father adored Henry. He had changed his life and his style of painting. My father’s paintings had been subdued and dark, now they were full of life. And he had lost all the old customers that liked his dark paintings. While he studied his income went down. But he didn’t care (my mother cared!). Painting was about the pursuit of truth, as Henry always said. My father didn’t believe that Henry really would put him out. One day my father would take over the school, he had lifetime rights to the studio, my father owned almost 20 of Henry’s paintings. My father had brought new students every year to Henry and new collectors. It couldn’t be true. But it was. I used to carry my painting gear on my bike back then. I was painted out in the dunes when a light rain started. I packed up my paints and started on my bike back to the barn. When I got near to the barn, the rain worsened . As a turned the corner up Pearl St., I noticed activity in front of the school, in front of the left side of the school where my parents lived. Henry and two others were putting all my parents belongings on the front lawn. I couldn’t believe it. I asked them what they were doing, and they told me they evicting my parents. I called my parents on the phone, but there was no answer. Finally, as one big man picked up an easel, I stepped in his way. "Put it back. Put it back!" "You don’t understand what’s going in, Arthur." Henry, said. The man pushed his hand against my chest. Something switched in my at that moment. Like all the other Hensche-ites before me, I would have done anything for Henry. But that all ended in that moment. "The police wouldn’t let you do this!" I called the police. Then Ada showed up and the police. No, you can’t put someone’s things out, the policewoman said. Ada piped up in her English accent. "You going let some out of towners tell us what to do!" Now I knew what was going on. Ada wanted my parents out. "Ada, you cannot put out renters without proper notice." The rain continued to fall. After I finished putting the things back in the studio, I cried for the first time since I had considered myself an adult. Then Henry told me he wanted me out too. My father drove up the next day. My father decided he wouldn’t move out until the end of the summer. My mother refused to ever live in that studio again. And whatever was in my father’s heart, allowed him to forgive Henry. He painted in the studio all summer. And just like the summer before, Henry came to dinner, and drank every ounce of booze that was in the house. He talked about painting, he talked about socialism, he talked about his special diet, and he told us the art stories of old. Stories of how a realistic painter was persona non gratis in New York during the 50’s and 60’s, but Henry kept teaching. How Henry went to the Sal Magundi Club in New York and told them how to paint. In front of the entire membership, he tour apart every painting that was hanging on the wall in the room. They never asked him back. He told us about Hawthorne, about the old Provincetown full of fishermen that would pose for he and Hawthorne. He told us about beautiful women that he had known and painted. He told us how thing were so bad at one time for realistic painters that he would have only four or five students, that sometimes he thought painting had died and would never come back. But it did, and all of us students were proof of that. And that made us kept up at the crack of dawn and chase the Provincetown light. Sometimes I would paint so much, Henry would say, "Go away. I don’t want to see you here for three days. You’re eyes are tired out." And sometimes he talked about poor Ada. She was lost he said, he didn’t know what had come over her. By fall, the busy summer’s was coming to an end. The adoring rich women who often came to study with Henry left, and there were only a few of us around. My parents had gone, but I stayed on, drying to paint as long as I could into the fall. Henry began to frequent my loft again. As long as I had booze, he’d stay all night. He was lonely. Ada still wouldn’t have him back, and Doddie wouldn’t either. Who would take care of him, he asked me? I didn’t know what to say, I’d been taking care of myself for three years at that point. Ada passed away later that year. She had spent her life caring for a man, who had other passions. But Ada’s work survived and hangs in all over the country now. The two of them had no children. Henry always said that an artist should have no children, that an artist needs to be married to his work and nothing else. He confided in me that he always thought Ada never got pregnant, because she gone hungry during the first world war in London. It couldn’t have been him, he told me. Henry moved back to his house, but he was lonelier than ever. Lois Griffel told Henry she would take care of him, and Henry agreed. 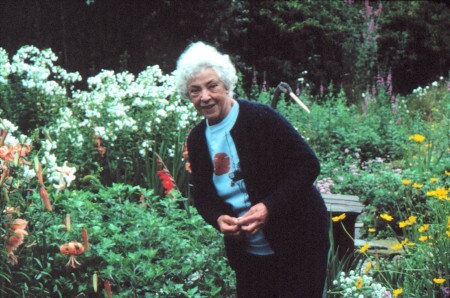 She was a longtime student of Henry’s. She would take care of him and take over the school when he could no longer teach. Her husband Hal, a carpenter, would maintain the buildings. So one night during that cold winter, Henry signed the school and all the studios to Lois for one dollar. The next day, Henry called Doddie and told her. Doddie told Henry to get it back. But Lois wouldn’t give it back to him. She ran the school for ten years on her own, but she couldn’t keep the school going. She finally gave up running the Cape School of art and sold the school and the grounds to developers. Now they are condos now and the kind of interesting history that you find all over Provincetown these days. 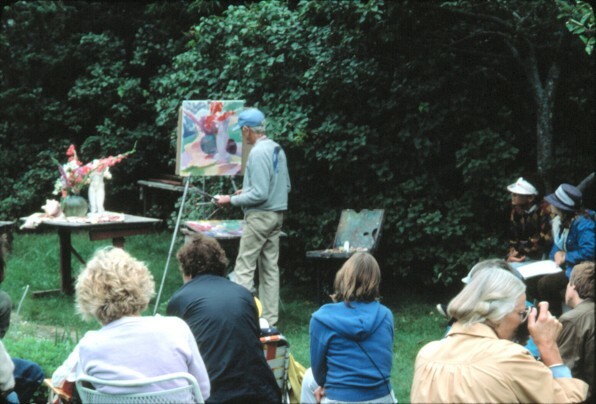 Henry Hensche and other artists who painted in Cape Cod created works of art in classes on Cape Cod in 1980, 1981, 1982, 1983. 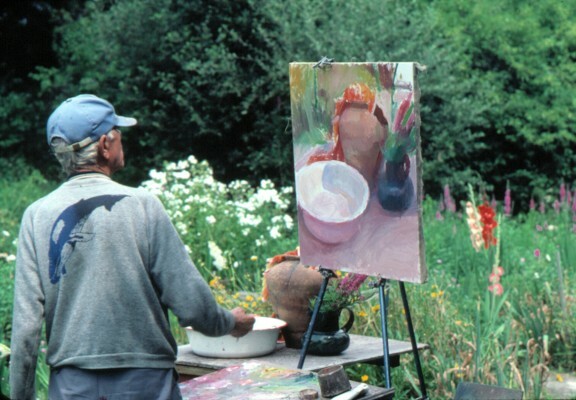 Impressionistic style, impressionist painters, impressional paintings and impression colors are studied in the class. Sometimes the impressionism art in Cape Cod can be found by looking for the words impressionistic realist painters or impressionist painters realists Cape Cod Provincetown or painters impressionists and realist artists in Cape Cod or impressionists Cape Cod painters.